Exploring a career in medicine is a member favorite! 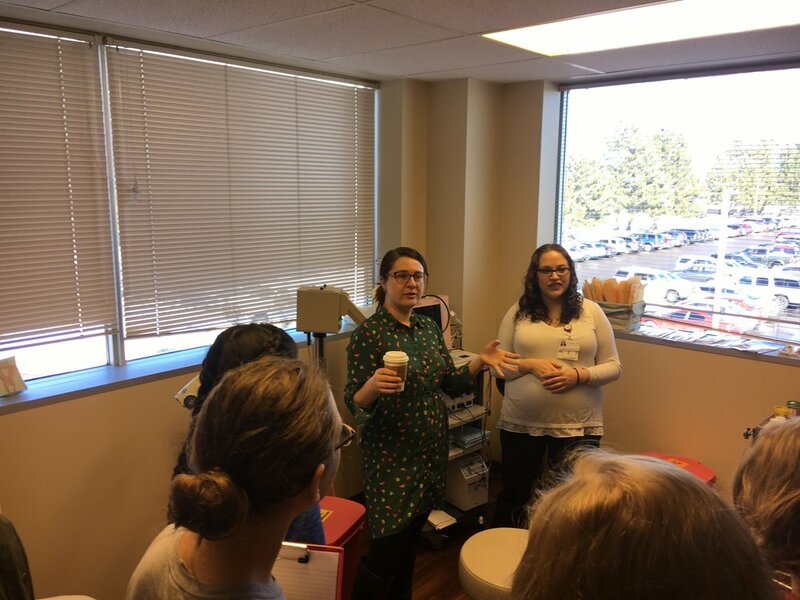 We visited Mountain Vista OBGYN on Feb. 16th to meet 3 amazing, passionate Doctors providing women's health care; Dr. Newell, Dr. Nelson & Dr. Kumar. We toured the office, explored an exam room including tools the doctors use everyday. 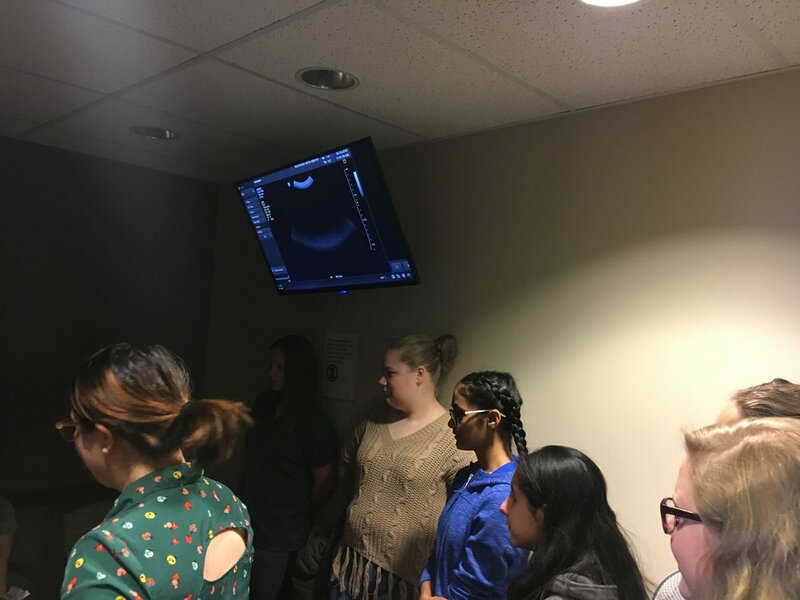 To top it off, we met one of the doctor's unborn baby via ultrasound and used the heart monitor to hear the baby's heartbeat - amazing to say the least! 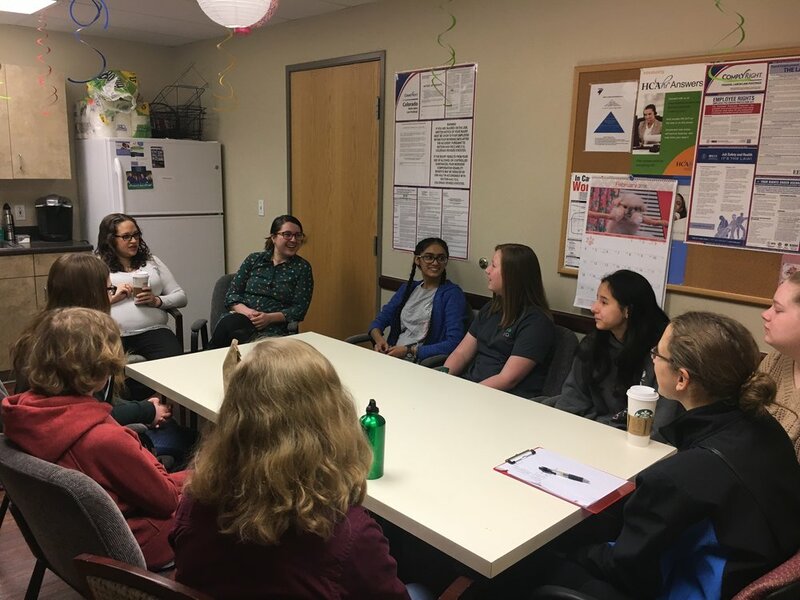 The Doctors sat with us over lunch and shared their insight and stories of what we might consider when working towards our undergraduate degree, graduate degree, taking the MCAT and applying for residency. We couldn't have asked for a better experience! 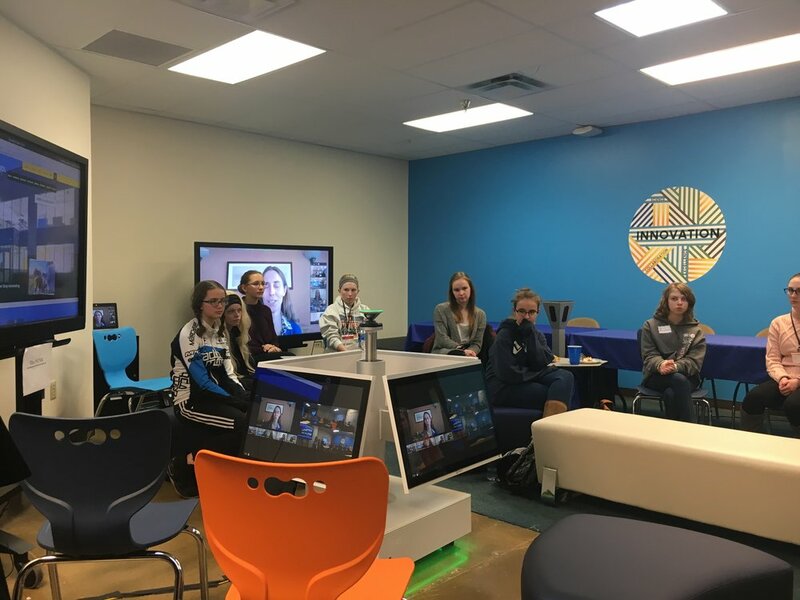 On February 6th we visited Burns & McDonnell and met professional women engineers and scientists working in the energy, oil & gas, construction, manufacturing and transportation industries - just to name a few! Sometimes when we think about engineering we think about robotics and technology but it's so much more! We learned what it means to improve the environment and water sources, improving manufacturing processes and efficiency, how buildings require civil, structural, mechanical, electrical and structural engineers. We were given a fun rover design challenge. We built a prototype and then made modifications to see how much load it could carry and how far it could go. We learned a little about the engineering process. Sometimes we find out what we think is the obvious design modification doesn't always work the way you think - design and engineering is an iterative process! LYNDA.com, for learning almost anything! What problem would you try to solve through an original app? How would it work? Write a program that asks for a number (integer) and tells you if it's negative, positive, or zero. Post the link to your repl.it solution in the comments below! We had so much FUN touring the University of Denver (DU) campus and getting a sneak peek into the life of a DU college student. Lets talk about the "M" in STEM! HS Members, you should have received the Investment Activity Document and Trading Form at the meeting. These forms have been emailed to you as well. We want your feedback so please take a moment to share your thoughts on the business & finance meeting!